Since the beginning, the business has been built on honest, quality, and reputable work that they always stand behind. 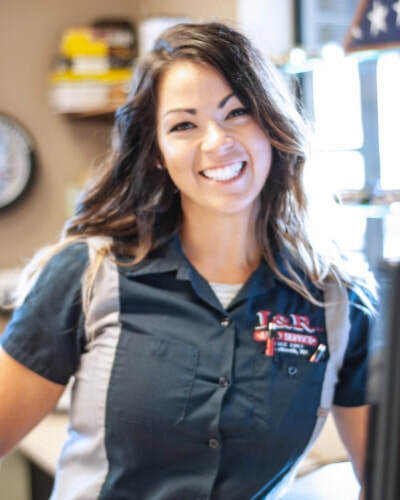 J & R Auto Service continue to serve their customers based on the same principles as our founder. We pride ourselves on our quality work and the reputation we’ve built over the years. J & R Auto serves a wide range of local customers in the Oshkosh area, including many UW-Oshkosh students needing service away from home. 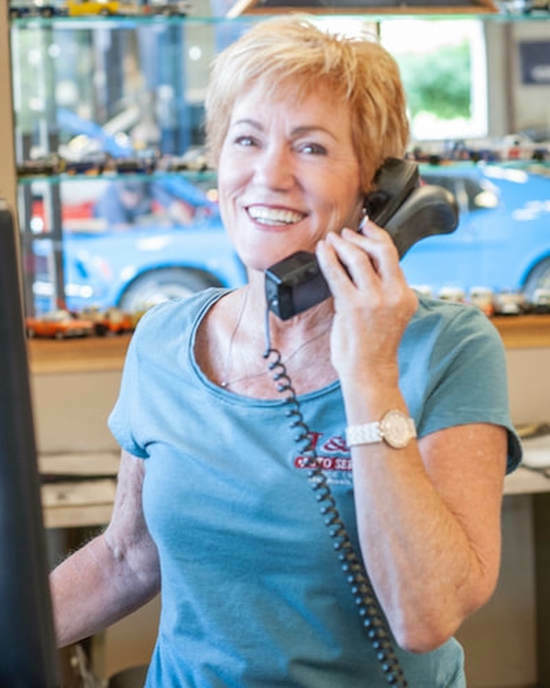 ​Our goal at J & R Auto is to build long lasting customer relationships. We know each of our customers and the history of their vehicles! Our best advertising is word of mouth, which starts with all of our valued customers. Brad Cook – 3rd Generation Owner and Technician - He is a 3rd generation automotive technician and now owner. He graduated FVTC in Automotive Repair, Marketing, & Automotive Service Excellence accreditations. Brad works to combine the timeless lessons and values he learned from his father and grandfather with keeping J&R up to date with modern technology as the industry continues to evolve. When he’s not at the shop, Brad enjoys being out in the boat by summer and on the snowmobile trails in winter while spoiling his Boxer/Boston terrier mix, Jersey. Ellen Cook– Office Manager - Marrying Paul started her career at J&R Auto Service 40 yrs ago as the bookkeeper working from home. Nowadays she's at the shop part time but seeing and interacting with the customers is her favorite part. "Some of the families are 3rd generation – that makes me feel old, but it’s a good feeling knowing the trust we have gained." Outside of work, Ellen enjoys traveling on day trips around Wisconsin and beyond. She is also an amazing hostess, cook, & always the life of the party. 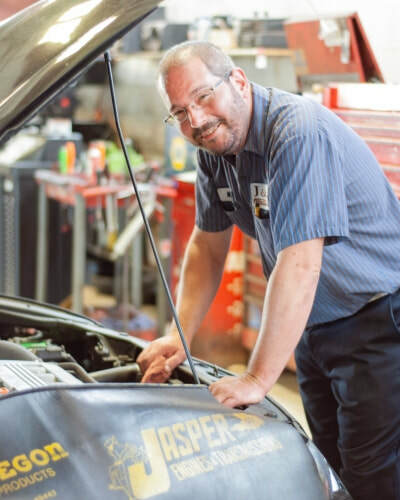 Scott Brehmer – Technician - A seasoned veteran of the automotive repair world and over 20 years with J&R, Scott has experience on all makes and models. He excels under the vehicle making difficult & uncomfortable part replacements like steering, suspension, brake or fuel lines look easy. He enjoys going and participating in car shows, spending time with his grandchildren and is one of the biggest animal lovers you will ever meet. 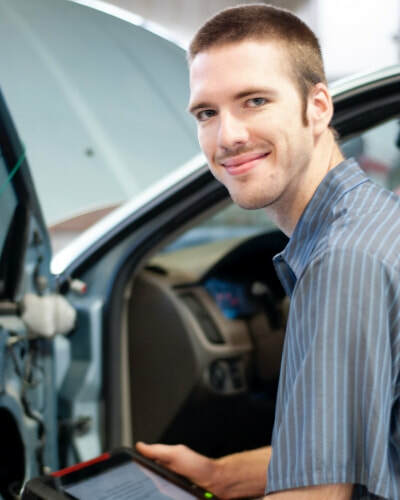 Ben Dahlke – Technician - Having graduated from Fox Valley Technical College in automotive repair Ben got his feet wet at a couple of shops before deciding the best fit for him. Today we are proud to have him as his knowledge and experience has continued to grow. ASE certified, Ben has taken the lead in such progressive adventures as fleet gas to propane conversion installation and diesel diagnostics. Ben prefers to spend most of his free time in his own garage working on project cars with his Great Dane Khali and his very expressive bird Zeplin. Josh Price – Technician - ASE Master Certified and 17 years' experience, he has held such positions as lead diagnostic tech and worked in shop management at his previous shop. His boundless energy and his willingness to take on any challenge helps to keep the shop moving. 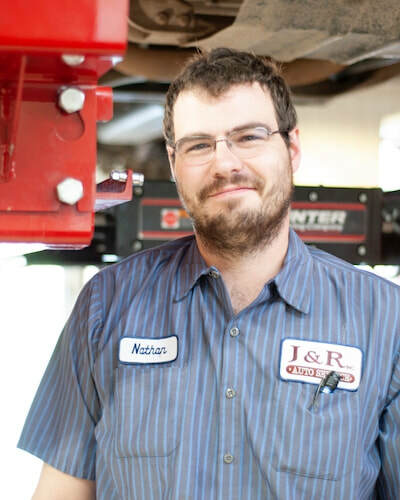 Josh’s skills include troubleshooting complicated diagnostic and drivability issues on Import & Domestic vehicles. At home he keeps the energy going with his daughter Lily & son Trenton who are quite the young athletes and he enjoys a variety of outdoor sports such as fishing and hunting. Nathan Koshak – Technician -Working on a dairy farm taught Nathan hard work and fed his curiosity for mechanical equipment. He channeled that hard work into an automotive repair degree at FVTC where he majored in imports. 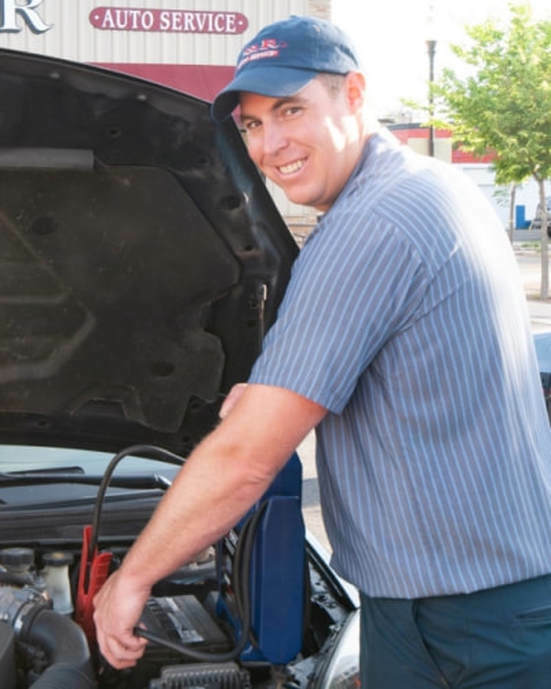 He has also spent part of his career working at a GM dealership where he became very familiar with common failures on domestic vehicles and time saving tactics in repair. Nathan is skilled in performing Hunter alignments and has an eye for attention to detail. His motorcycle gives him a break from the grind and his time in the vegetable garden. Mike Anderson – Technician - An ASE Master with 17 years' experience in the trade. Mike has spent time both as a tech and as a service manager. From full engine replacement to diagnostics he can work on it all. An Oshkosh Native who took a brief hiatus from the industry to try his hand at Alaskan commercial fishing, his calm demeanor and wit certainly help to diffuse the stress we all experience. Once during a repair, Mike rescued a kitten wrapped up in A/C lines in the engine compartment, he took her home and she’s never left. 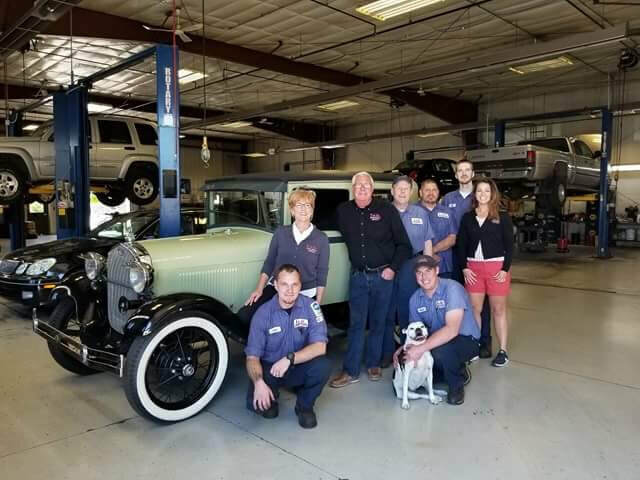 Mark Suess – Classic Car Consultant - After 39 years and an entire career spent with J&R, Mark has retired from wrenching full time having worked with 3 generations of the Cook Family. As our resident classic car expert, he works per diem to troubleshoot and repair vintage, collector, & antique vehicles. At home he enjoys phenomenal cooking from his wife Deb of over 35 years and plans to have more time for fishing. Jersey Cook – Official Greeter & Mascot - 11 years in the business Jersey has been a fixture here since she was a puppy. She enjoys greeting each customer with tail wags, silently harassing all delivery drivers for treats, and mixing up the day lounging in one of her 4 beds here at shop. In her free time, she likes to take dips in her kiddie pool and long walks. 1957: Russell Cook and Jo Straveler co-founded J & R Auto Service in downtown Oshkosh. 1988: Paul Cook took over the business from his Father. 2001: J & R Auto Service was moved to its current location on Main Street. 2017: Paul Cook retired and his son Brad Cook took over after working as an automotive technician for 15 years at J&R.